Monarch butterflies have left their overwintering sites in Mexico and are heading back toward the Midwest, including the Chicago area. Unfortunately, far fewer monarchs will be making the northward flight this year and the chance to see large numbers of these beautiful butterflies in your garden or flying across a prairie is becoming less certain. Explore pollinators at World Environment Day, June 7. Join us Friday, June 6, for the Make Way for Monarchs research symposium. 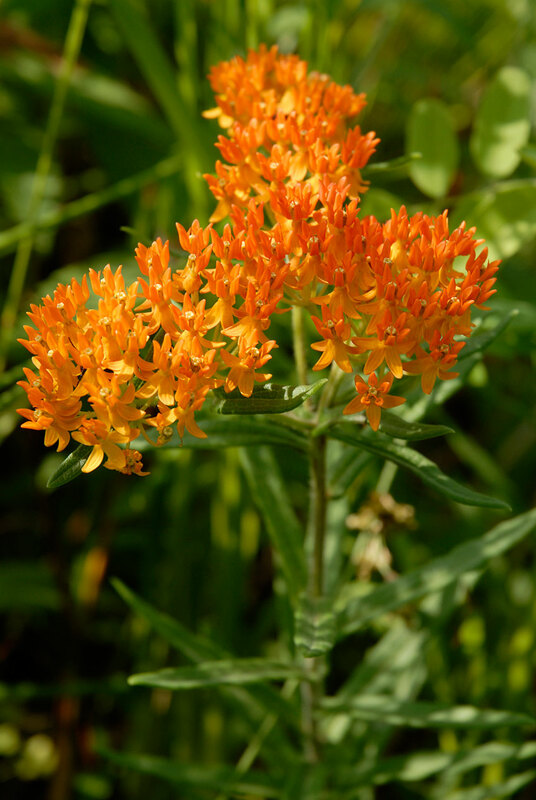 Butterfly weed (Asclepias tuberosa) is one of many native milkweed species that provide food for monarch butterfly caterpillars and a nectar source for flower visitors such as bees and butterflies. In the 1990s, hundreds of millions of monarchs made the journey each fall from the northern plains of the United States and Canada to forested sites north of Mexico City. In western North America, more than a million monarchs made a shorter flight to tree groves on California’s coast. However, monarch numbers have been declining for more than a decade, and this year scientists documented record low numbers. We have seen more than a 90 percent decline. Why is this occurring? We don’t know for sure, although there are several factors that are likely contributing. Habitat loss due to urban development and large-scale agriculture are key concerns. Farms now cover vast areas and many grow genetically modified crops that allow herbicide applications to be used on and around the crop, including in areas where milkweed—the one plant that monarch caterpillars need—used to grow. These “Roundup ready” crops have been identified as a major cause of milkweed loss throughout the Midwest. Additionally, millions of acres of farms and urban land are treated with toxic insecticides. The loss of forest habitat in Mexico and the decline of monarch groves in California may also be playing a role. In the West, severe drought is likely contributing to reduced monarch populations. These threats are compounded by climate change. We do not have to sit and watch these declines continue. We can provide these butterflies (and other wildlife) with high-quality, insecticide-free habitats. This is not something that needs to be restricted to a distant wilderness. Indeed, it is a cause in which everyone can take part. Homeowners and farmers can plant milkweed to support monarch caterpillars, and native flowers to provide nectar for adult butterflies, and work to limit the impact of insecticides. Land managers can ensure that milkweed stands are adequately protected. Sign up for “The Monarch Butterfly: How You Can Help Save This Iconic Species,” Saturday, June 7, at 1 p.m. The Milkweed Seed Finder gives you quick access to regionally appropriate seed sources, with options to search by milkweed species and by state. The Xerces Society’s Project Milkweed has been working with native wildflower seed nurseries, the USDA Natural Resources Conservation Service (NRCS), and community partners to produce huge volumes of milkweed seed that are being used to restore monarch habitat. In just three years, this work has led to the production of 35 million milkweed seeds! As a result of this effort, milkweed seed is rapidly becoming more available in many regions of the country. 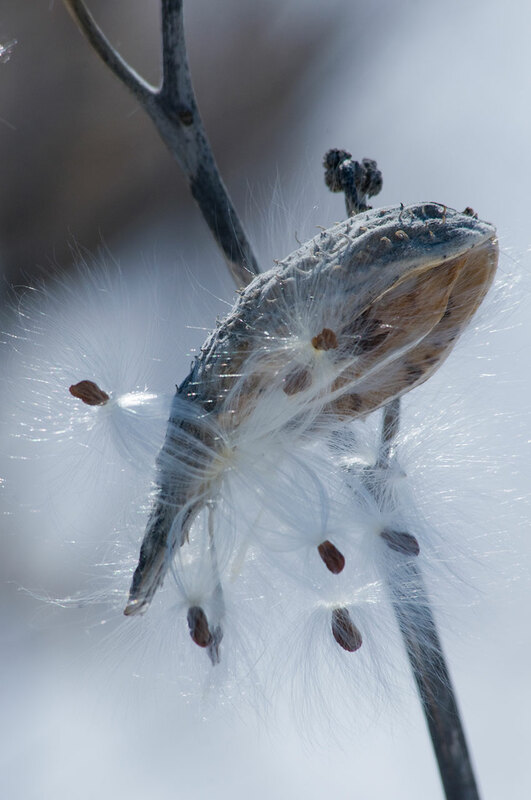 To make it easier for people to find seed sources, we’ve launched the Milkweed Seed Finder, a comprehensive directory of milkweed seed vendors across the country. In addition, the Xerces Society’s work with farmers and the NRCS has led to the creation of tens of thousands of acres of wildflower habitat that includes milkweed, across much of the monarch’s breeding range. Aldo Leopold wrote in A Sand County Almanac, “One of the penalties of an ecological education is that one lives alone in a world of wounds.” For the sake of the monarch—and so many other species—it is time to heal as many wounds as possible. Thanks for giving us the information about monarch butterflies and the need for them to have access to milkweed plants. Sometimes it is hard for people with small city lots to deal with milkweed, at least the variety I had, since it spreads via underground roots and pops up in your grass, your neighbors’ yard or the neighbors’ hedge. I was glad when mine didn’t come back one year. Now I have a circular area that I could begin cultivating so I could put milkweed there. The butterfly weed pictured in the article may be something I could find. Thank you again for the information. Thanks for the info. I’ve lived in Chicago for over a decade and when I moved here Monarchs were easy to spot, the last few years ..not so much. It’s a shame to see such a beautiful insect becoming more and more scarce. The world needs more people like you Scott. My family raises about 12 Monarchs a year not including all the caterpillars who live on the large number of various species of milkweed plants all around my yard in Wisconsin. The ones we raise come from eggs I find on plants popping up in the lawn or the neighbor’s lawns. I check eggs in the lawns and pull the plants either way to prevent existing or new eggs from being mowed down. Kids like raising them and last year I took a picture every day from hatch date to release date. Amazing how fast they go from hatching out of an egg to becoming a butterfly. Saw our first Monarch last week. My wildflower garden is full of common and red milkweed. Common milkweed is so easily grown and its stalks look good. It is prolific and if not controlled can become invasive. Red milked is more attractive but much slower to spread. I have about one acre planted. “Why is this occurring? We don’t know for sure,” says the article. Then it goes on to say that milkweeds are disappearing from the Midwest. Really? Milkweed is now a rare plant? Has the author gone outside lately? Here in So West Indiana milk weeds have pretty well been wiped out by agriculture.. Gone are the fence rows that used to harbor birds and small animals. Few bees, few moths or butterflies. Plenty of flies and mosquitoes though. I just planted some butterfly weed plants yesterday. I hope a monarch mama finds them. My brothers and I attended Mendel high school on Chicago’s southeast side, named after Gregor Mendel who pioneered the genetics of sweet peas. The school mascot was the Monarch, as in the species of lion; king of the jungle. The monarch butterfly to me is the king of the butterfly species, travelling an incredible distance to migrate and reproduce; much like the swallows of Capistrano. Just another day in nature as they say. I look forward to planting more milkweed this year for a bumper crop in butterflies and associated insects. If the shortage of monarchs is due to genetically modified food crops such as corn, why is that even allowed? The loss of a species such as the monarch butterfly would be a tragedy. Those of us who have watched the monarchs through the years and raised caterpillars with our children have seen the dwindling numbers. I hope something can be done before it is too late. Congress and the President just enacted the Monsanto Protection Act. Monsanto produces lots of nasty chemicals to kill weeds and killing butterflies is just the cost of doing business. They also produce GMO seeds so farmers have to buy seed every year and cannot save seed over from the prior year. That’s allowed because Monsanto makes more money that way, the better to buy off a few congressmen with. Watch the video about the Illuminati on YouTube and you’ll learn a lot. I am involved in farming,and we have farmed a lot of sandy ground over the years,the milkweed plants were very plentiful. With the roundup ready crops,and roundup herbicide usage we have no milkweeds in our fields now,compared to thousands of milkweeds before. The government pays for crp acres yearly,why not reqiure a good stand of milkweeds on this land. Also in my area there is lots of forest preserve land,why should they not establish good milkweed populations in some of their praire restorations. I know I still have some milkweeds,just not the millions I used to have. Thank you for the article about Monarch butterflies and their dwindling numbers. About 30 years ago I saw a group of migrating Monarchs in the privet shrubs that border the east side of my yard. The privets had their white blooms, and the sight of perhaps 100 of the orange and black Monarchs perched on the branches was breathtakingly beautiful. My grandparents, who were in their 80s then, were visiting, and it was a joy for three generations of my family to see the migration group, probably a once-in-a-lifetime experience. I will try to let the milkweeds grow in my yard, in hope of helping the Monarchs. IDOT, county highway departments, and township highway departments need to stop mowing highway right-of-ways and let the milkweed grow. They also just might save millions of tax payer dollars in fuel costs, reduce greenhouse gas production and heavy metal pollution . In the winter did you ever notice that you don’t have as much drifting snow along highways which haven’t been mowed (and not as much salt needed on the highway)? Why don’t you try and get IDOT, county highway departments, and township highway departments to stop mowing, and grow wildflowers along the roadways? Sadly, I didn’t have a single Monarch this summer. Within the past few weeks, I’ve had a couple but they’re visiting to feed. I didn’t have a single caterpilar and I’ve had them every single year for the last 17 I’ve lived in the house I’m in. I hope with the rains in Texas they’ll have plenty of food on the migration back to Mexico. Hopefully, they still have some acreage and forest to over-winter in. Next Next post: Best. Plant labels. Ever.